Hi there. 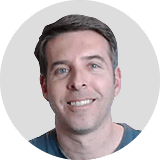 I’m Rod, an active trader and Head of Product here at C2. Are you a financial newsletter publisher, trading educator, strategy or indicator developer, commodity trading adviser, introducing broker, futures clearing merchant, or wealth manager? If you’d like to offer a customized version of Collective2 to your clients, then let’s schedule a demo of the Professional Plan, a white-label version of our software.